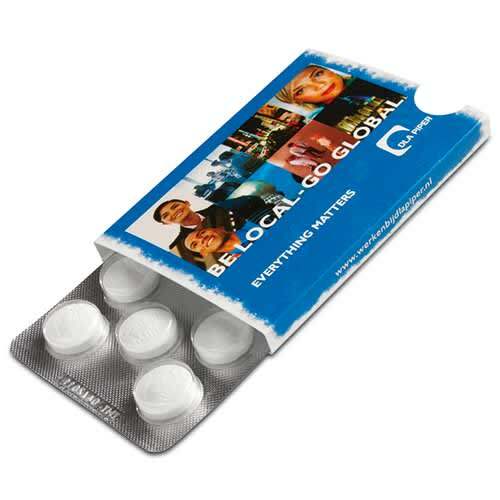 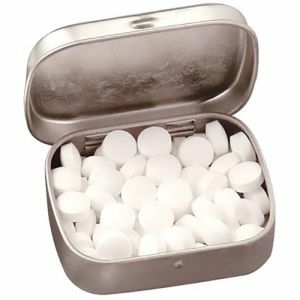 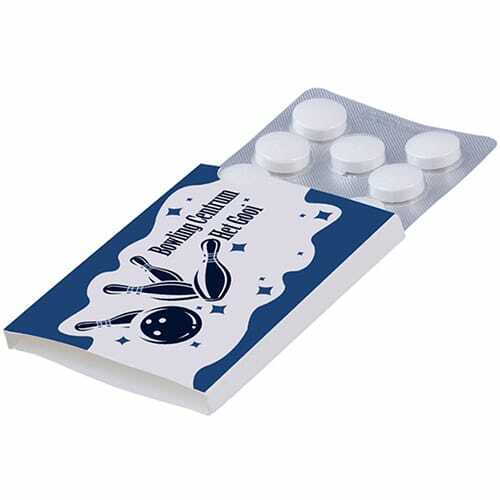 Promotional Compli Mints Blister Packs, a plastic push-through-pack containing 10 mints with a compact card slip-on case that is printed all over with your corporate design in stunning full colour print for maximised exposure of your logo or brand. 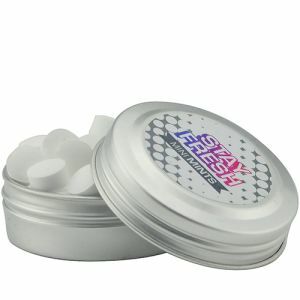 These printed peppermints have a 24-36 months shelf-life, making them perfect for handouts at all sorts of events. 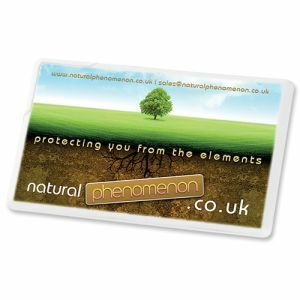 Helps your clients keep their breath fresh on the move and promote your business or campaign all for this one great price. 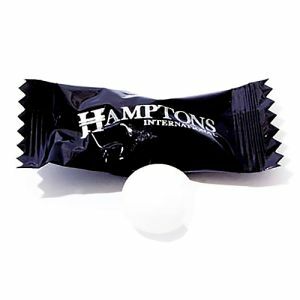 Due to the manufacturing process the strength of mint flavour can vary.